I’ve been crocheting since i was a teen. A pre-teen really. Growin up in the midwest, one needed “hobbies” to keep from going insane in the winter, and from driving your mother nuts with adolescent requests due to “boredom”. So she taught me my first few stitches and i was well on my way. Which is to say i wasn’t really. I’ve been an on again/off again stitcher in this regard. I’ll get on a kick, crocheted madly for a month or so, an then lose interest again and move on to one of my other gajillion hobbies. 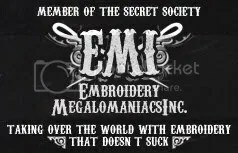 I’m a Jill of all stitching, really. i've actually made this one and it looked this good. Better even. yeah. So i’ve done doilies, afghans (baby size, otherwise, what a yawn! ), more doilies, lace edging, doilies and dishcloths. Last week i decided to try my hand at Amigurumi. Now, i should state for the record here that i’ve never really been a fan. I mean, they’re always cutesy lil bears and bumble bees and such–and, well, that aint me. I mean, i can make cute. Don’t mean i wanna. And frankly, i’m not a fan of the single crochet. I have a tendency to stitch tight, which can lead to “fighting” your piece if it’s a lot of single crochet. But,that also means i’m a pretty good candidate for Ami, since it has to be stuffed, it needs a tight–tighter than usual–stitch. Still–bears and bees? And i realized i had found my new calling for the month. i want to eat your soul! Nom Nom! Yes. That’s right. 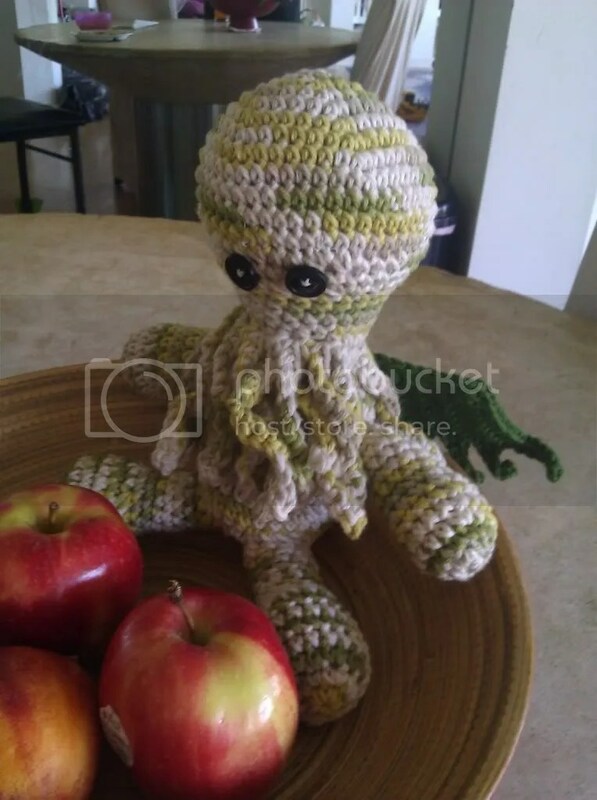 An amigurumi Cthulu. Does it get better? I think not. So I got to stitchin. Didn’t take me long, really. (I’ve always been a quick crafter) I didn’t have any saftey eyes (or even know what they were until i started this) so i used buttons. I wasn’t making this for anyone under the age of 10, and as i have no habits of chewing off buttons and choking on them, i figured it would hold. 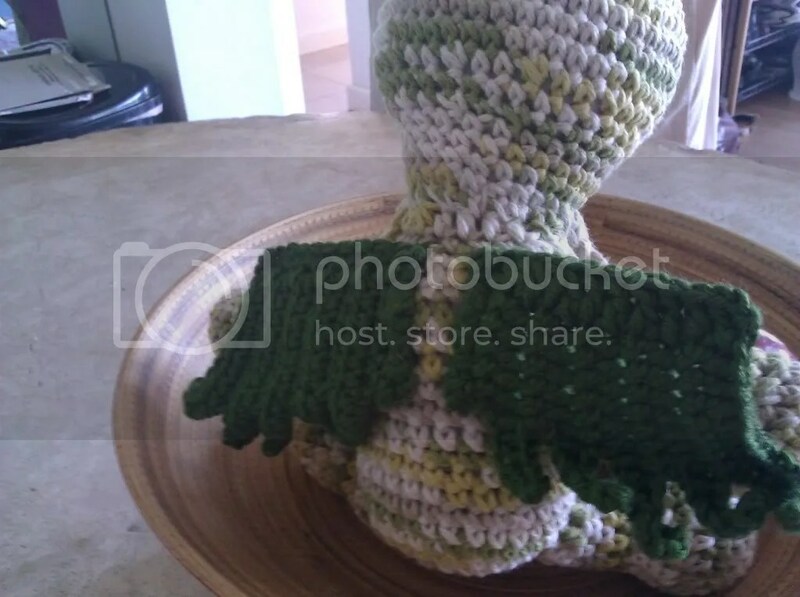 This one was from the Crochet Ninja (also–what a great name, eh?). it’s her bogie pattern. For you non-Anglophiles (whatever) or if you’ve never read the Harry Potter novels, that’s the British term for booger. Now, I know it looks more like a Dow scrubbing bubble than a booger–but its still cute! I should say, i’ve already moved on. I’m now constructing a cozy–the other not cool/so cool item a crocheter can make. Perhaps next week i’ll have a bevy of useless but super hip cozies to display. If someone can explain to me the PURPOSE of an apple cozy? 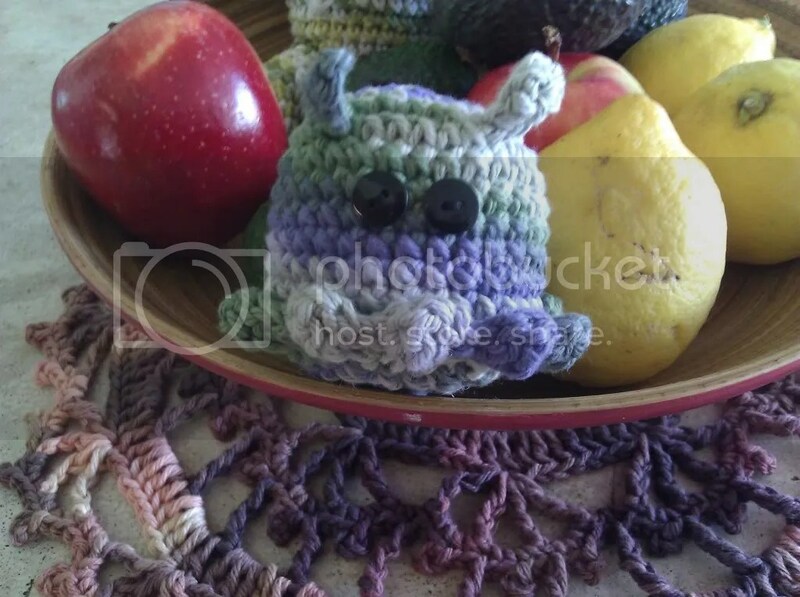 This entry was posted in crochet, yarn craft. Bookmark the permalink. 2 Responses to Mon Ami(gurumi)! If you don’t put a cozy on your apples, then your apples’ balls get cold. Adorable….but I still vote for the book because everyone needs a CEO Zombie.